Posted on March 21, 2014 by Greg Kaz. There’s no getting around the importance a roof plays in any structure. Whether it be a home, a warehouse, office building, etc. you need a strong roof that can provide shelter from the elements. Leaks do happen, however, at which point, you want to act fast to solve the problem. Despite all the options available, you can’t do much better than having EPDM roof coatings above your head. Keep reading to learn why applying EPDM to your roof is one of the best decisions you can make for the structure. 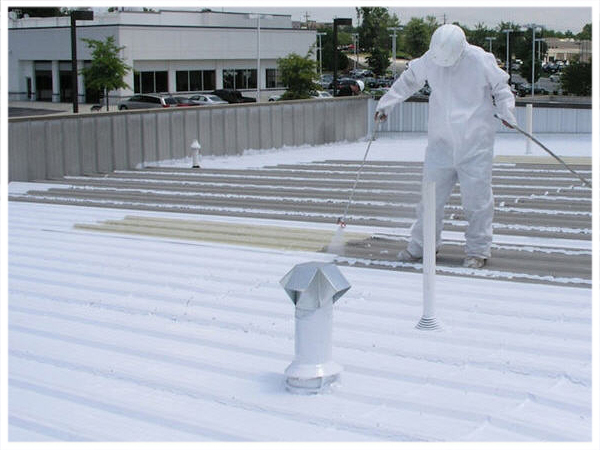 EPDM roof coatings can handle just about any climate condition short of a tornado. They can withstand low temperatures all the way down to -40 F without cracking or becoming brittle. If you live in the Southern Hemisphere, you’ll be glad to know that a roof covered in EPDM doesn’t mind the warmth, either. While temperatures will never get up to 300 F, EPDM has shown it wouldn’t be a problem if it did. The really great thing about EPDM roof coatings, when it comes to climate, is how much it can save you in energy costs. EPDM gets a lot of credit for keeping the elements out, but the truth is that it does just as good a job keeping your cold air or heat in, where it belongs. 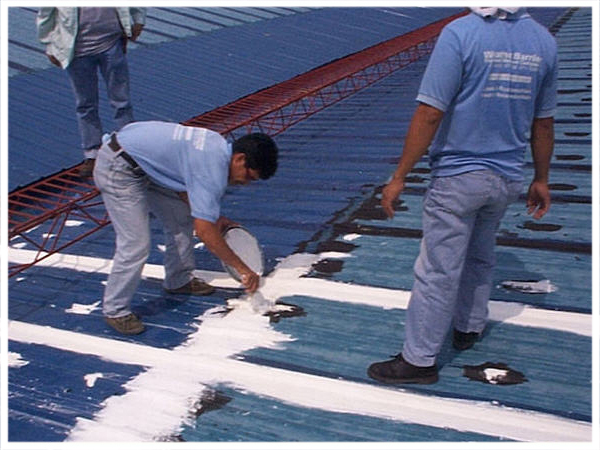 As the above attests, a roof covered in EPDM will have an easy time withstanding the elements. Yet EPDM needs very little, if any, maintenance. While you’ll want to clean your roof periodically, simply to keep things like fungi or algae from growing, the synthetic rubber itself won’t need any help. This also provides greater savings. The longer you can go without having to fix your roof again, the more of a return you’re getting on your investment. But this can also provide great savings for use on an office building. As that type of building constantly undergoes inspections for worker safety, you won’t have to worry about spending more to keep it up to code. It’s hard to think of another option that can provide the kind of longevity you’ll get from installing EPDM Roof coatings. The ERA (EPDM Roofing Association) recently conducted a study. In it, they examined a number of EPDM roof coatings that were 30 years old. Their finding was that, even after 3 decades, the EPDM maintained a high degree of tensile strength, almost as if it were new. Keep in mind that the above advantages are contingent on quality installation. While many people may be successful in installing EPDM on their own, they take the results into their own hands. Many of the benefits listed above will not be a factor if installation is mishandled. When it comes to putting a roof over your head, you’d be hard pressed to find a better option than EPDM rubber. For added savings, incredible durability, and little-to-no maintenance issues, EPDM roof coatings will deliver. Best of all, you won’t have to think about it again for decades to come. Posted on April 17, 2013 by Greg Kaz. Roofs provide protection against dangerous that various animals and nature pose and for this reason, they are a necessity for all structures. They are essential for all structures, which range from stadia, multi-storied buildings, halls to cathedrals because they provide this protection by covering their top most areas. However, when it comes to their application, human dwellings are the ones that mostly have them. Although in most countries roofs serve to provide protection against snow, wind, and rain, some people use them for various other purposes. For example, people in the Middle East use them for milling their grain, for gardening purposes and for the provision of additional space. Roofs provide insulation and hence, they serve to prevent water from seeping through because they are weatherproof in countries that receive heavy rains. In order to prevent the roof damage that occurs owing to weather conditions, some people use roofs to conserve their gardens. Although sunlight is free, roofs provide protection against it when people have verandahs around their houses. In order to enjoy the dual advantages that open weather and light offer, many people nowadays prefer to use fiber sheets that are transparent in nature. Many people have to live with the existing construction and the roofs that it has and try to understand their benefits the way the original designer constructed them when they move into newly owned or rented houses. However, they can consider various important factors when they are designing the roofs before they embark on the task of building if they are building their own houses. People can get the best roofs for their homes by using a little creativity and knowledge when they want to renovate buildings that they buy or existing houses. Nowadays, special roofing materials , which are extremely attractive because they are non-traditional and new , are easily available in a wide variety of styles, sizes, designs and shapes thanks to the numerous positive changes in the roofing industry. People can only realize that they have numerous options when they think of changing their roofs. Pitched and flat roofs were the only available options are few years ago but thanks to the aforementioned changes, the market nowadays offers various roof designs and a wide variety of roofing materials, and in effect, it provides people with a multitude of options to choose from. Pitched, shell, saltbox, and slate roofs are some of the most popular types of roofs that are available in the market today. Pitched roofs, whose slope varies depending on the climatic conditions of the country in which they are manufactured and sold, are available in symmetrical shapes. They have steel trusses that have rolled wood or steel sections. They are steeped in countries that have heavy snowfall. Shell roofs, which are specially designed to meet all the architectural needs by meeting all the specifications, are common in places that require people to cover larger spaces such as libraries or theatres. Saltbox roofs are common in houses that are single storied on one side and have second stories on the other because they have two asymmetrical slopes. Slate roofs on the other hand are very durable. For product information of Roof Repairing and roof leaking and ordering Visit https://www.epdmcoatings.com or the facebook page http://www.facebook.com/liquidepdm or call them at 855-281-0940.